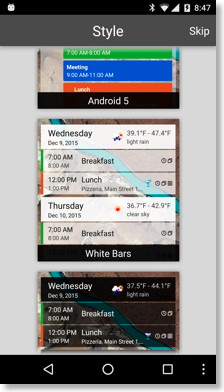 Widgets: Additional agenda widgets, a year widget, improved widget selection screen. 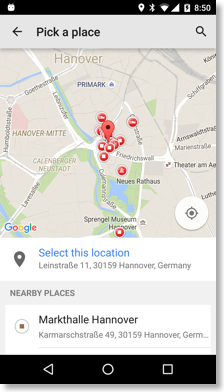 When editing the location of an event you can choose from nearby places or search using Google Maps. 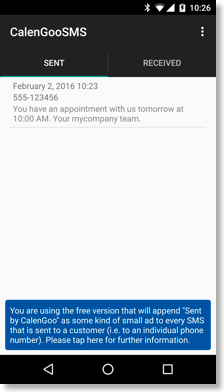 SMS reminders can be sent using the additional CalenGooSMS app. 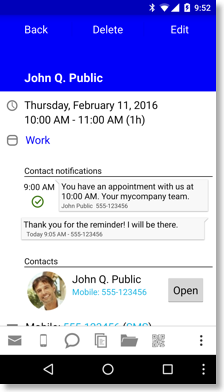 This way you can send SMS reminders for events to yourself or your customers. I.e. 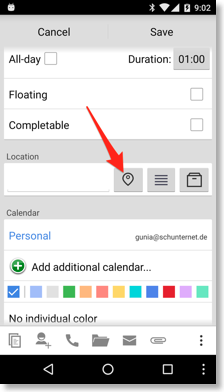 you can send an SMS reminder to other persons a configurable time before an event starts. 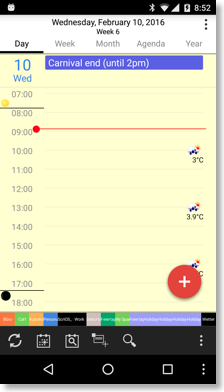 When the person sends an SMS back you will see both your SMS and their SMS in CalenGoo’s detail view of the event. 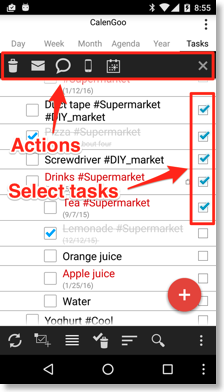 Multi-select function for the tasks. 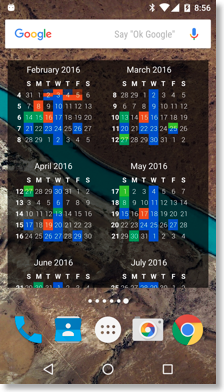 Just long press a task and choose "Select multiple entries". 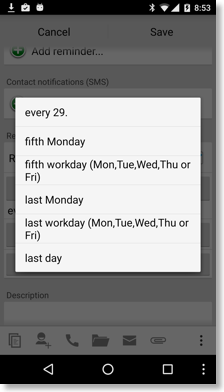 Then you can delete multiple tasks, send them by email, SMS or WhatsApp or change the due date of all selected tasks at once.